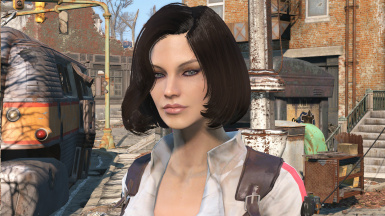 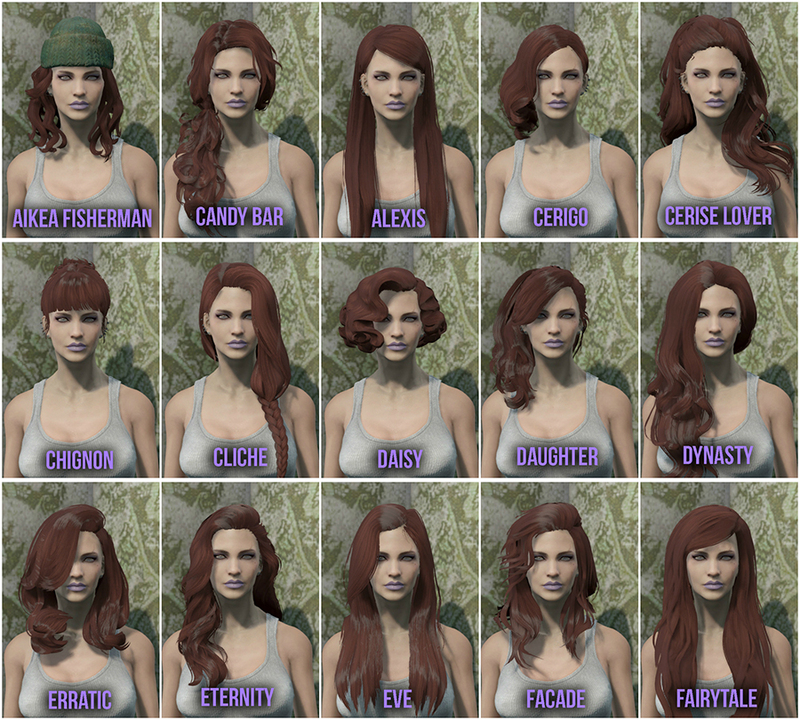 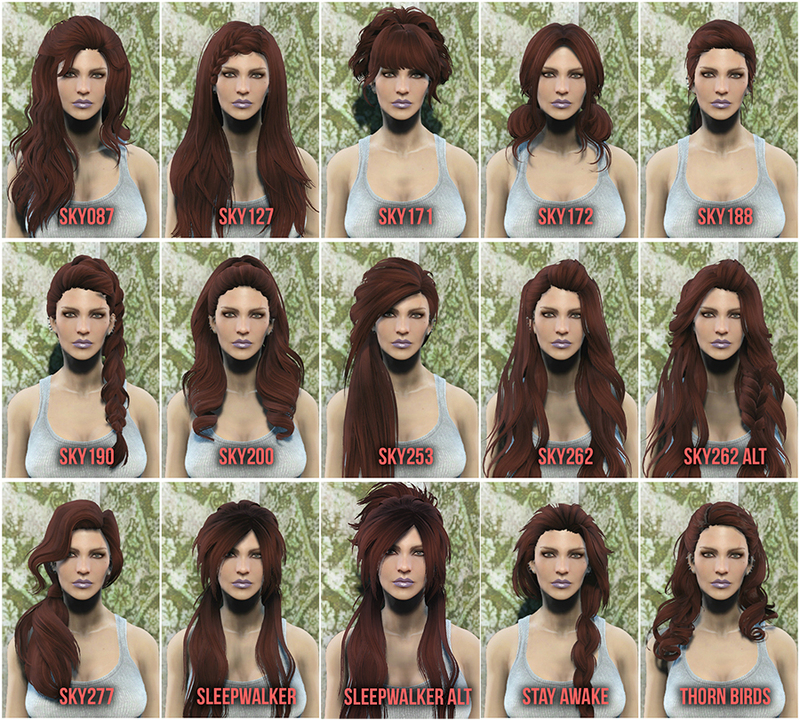 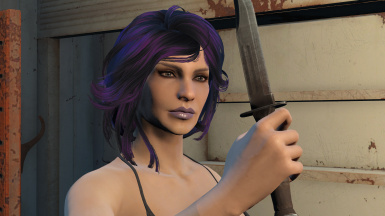 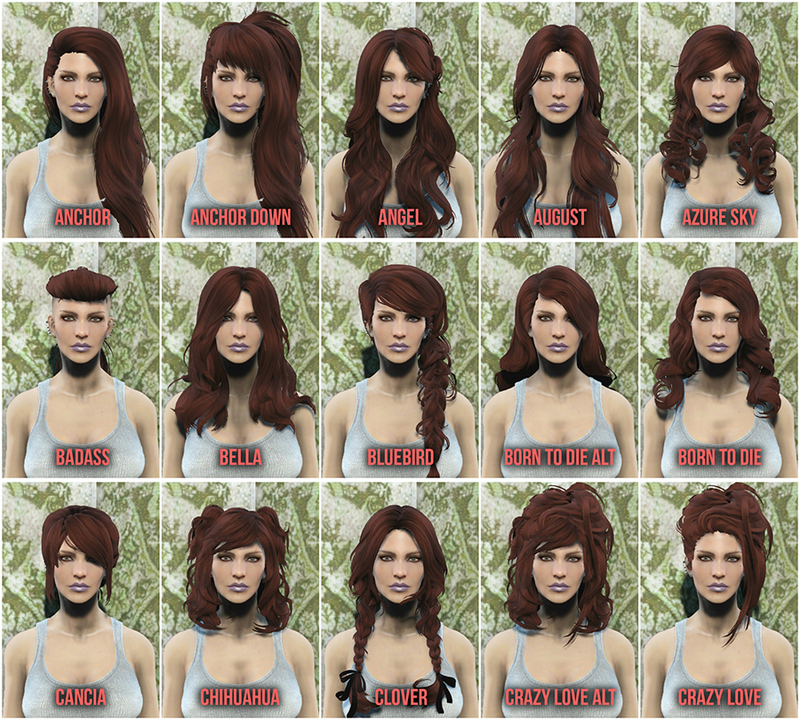 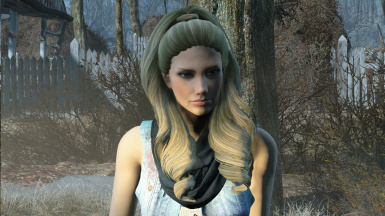 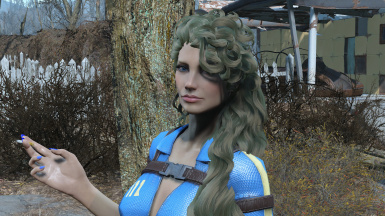 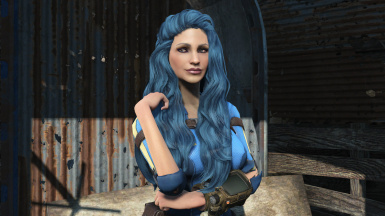 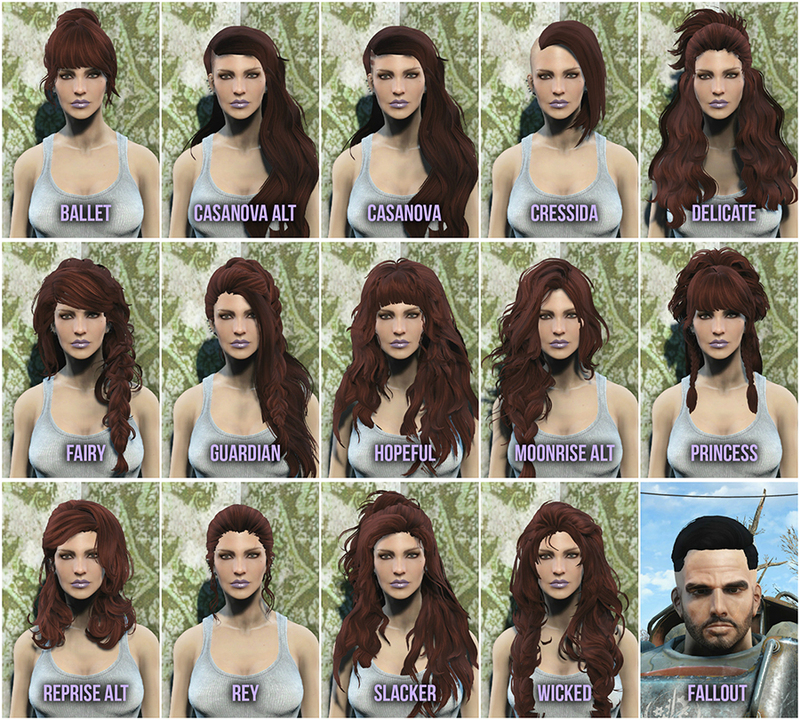 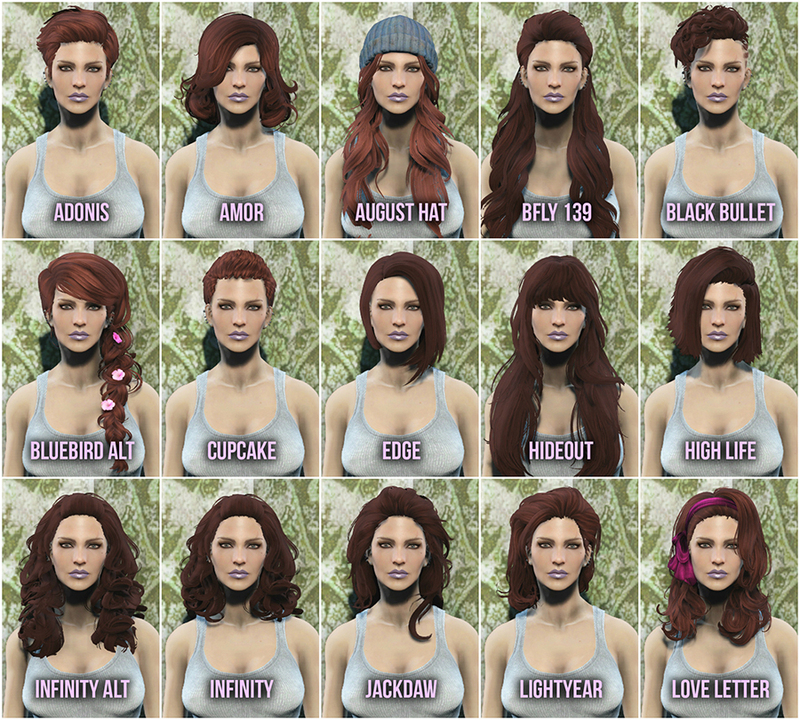 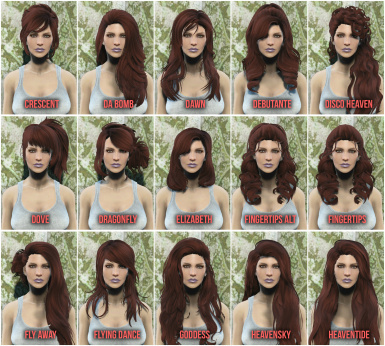 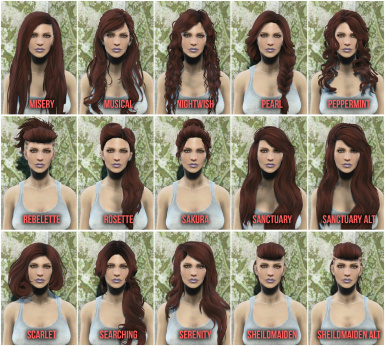 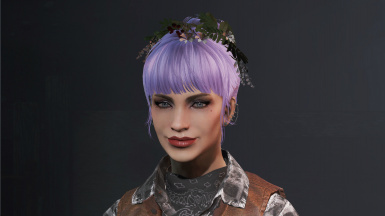 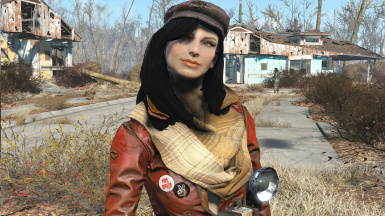 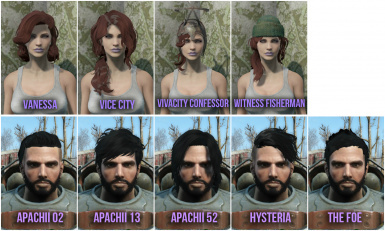 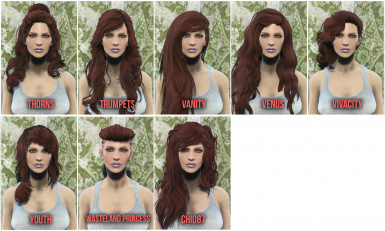 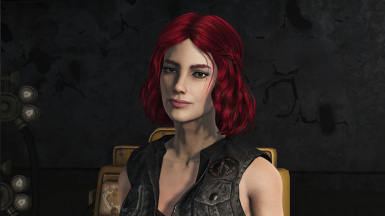 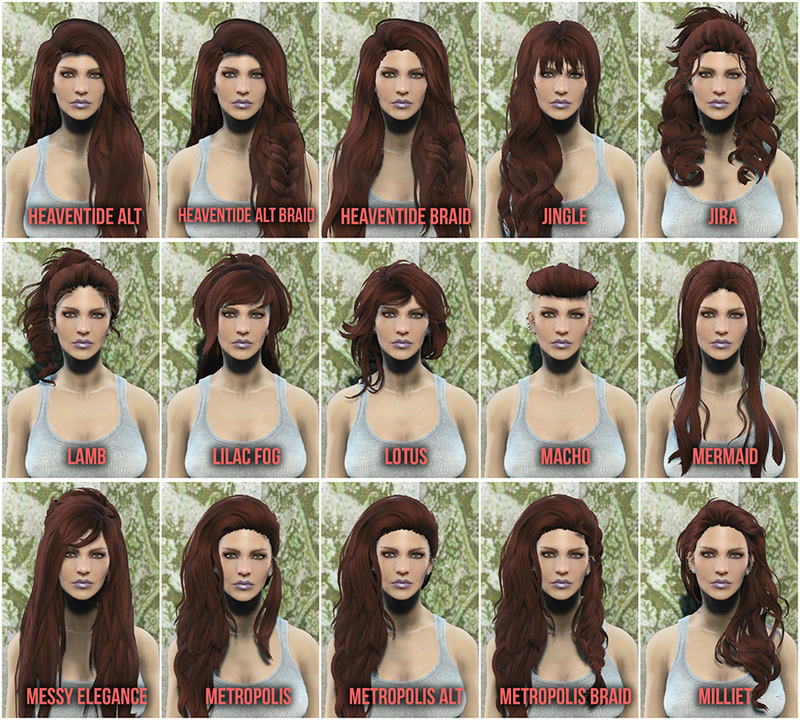 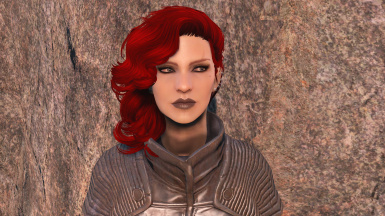 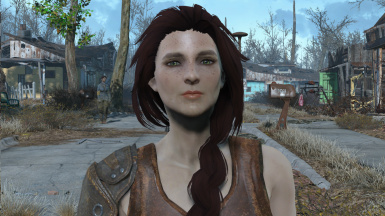 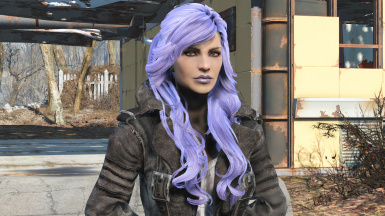 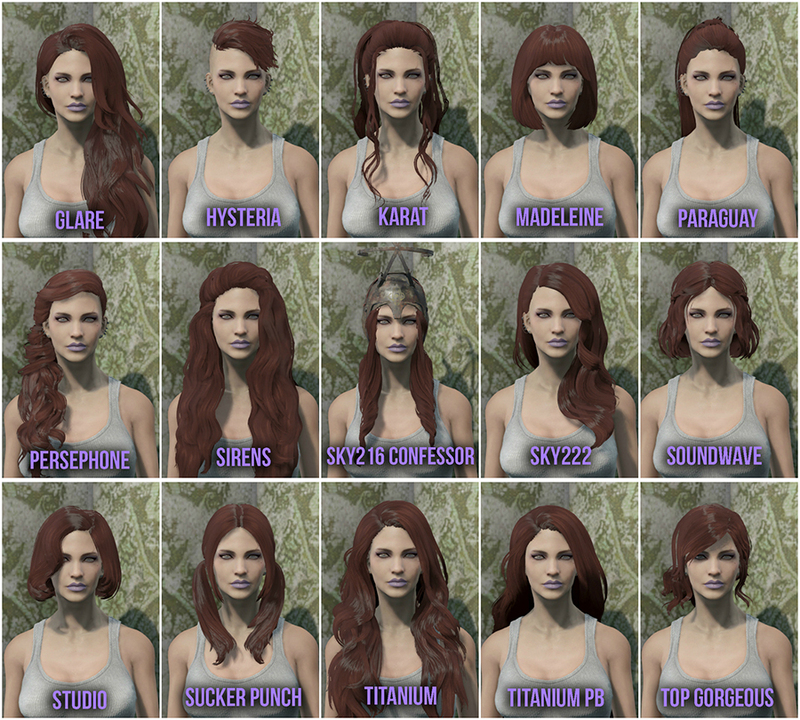 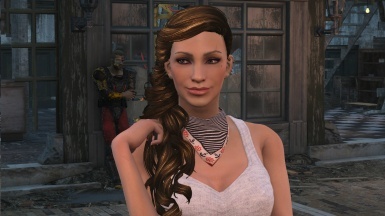 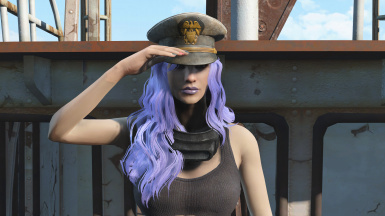 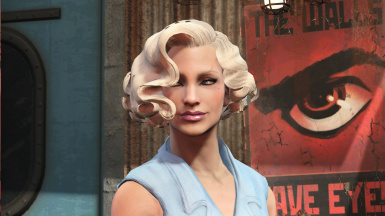 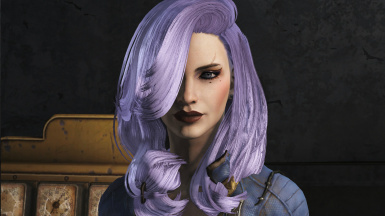 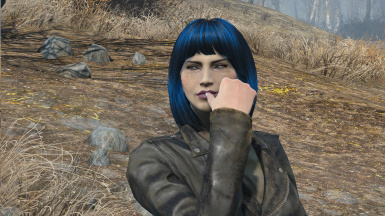 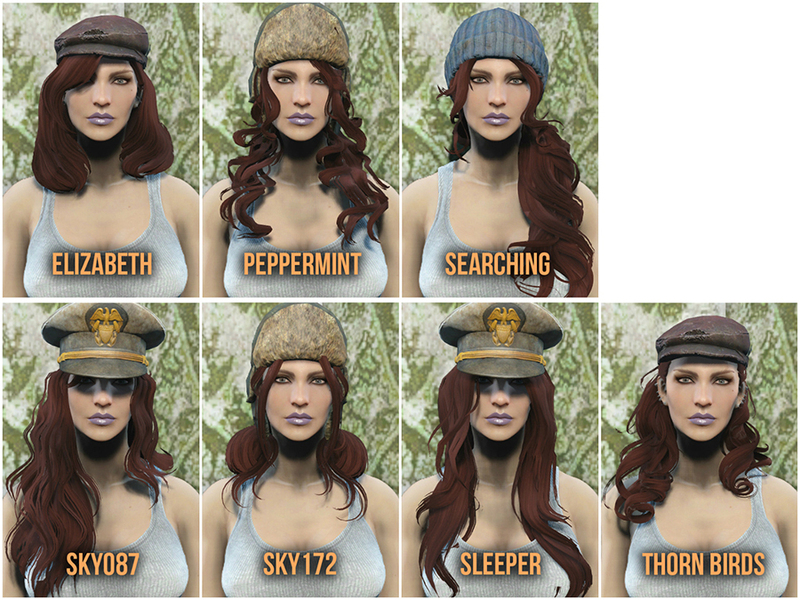 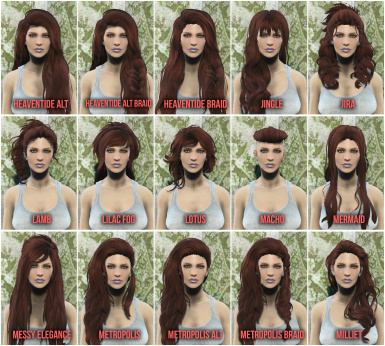 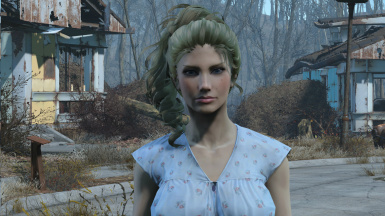 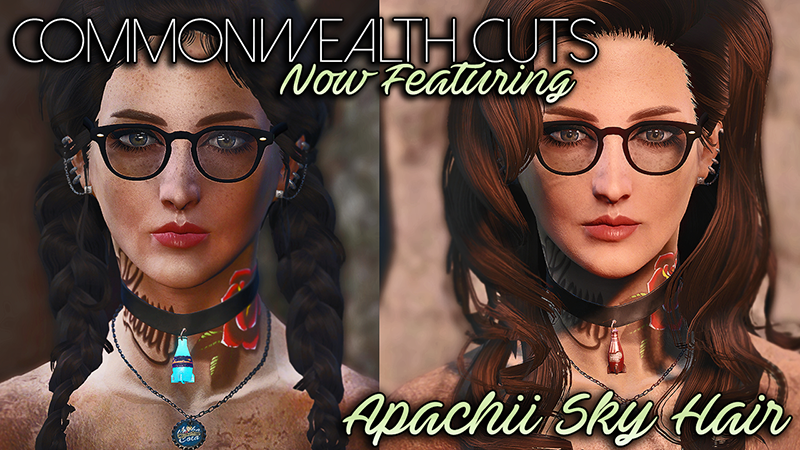 Agent Carter Preset Hair from the screenshots. 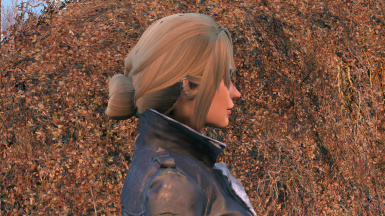 Cute followers - Piper Cait and Curie Hair for Piper. 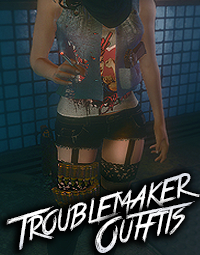 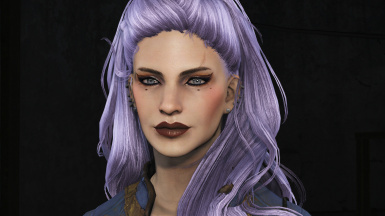 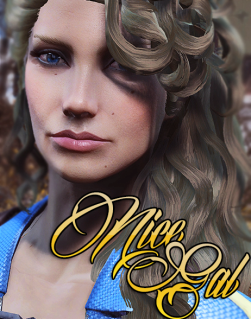 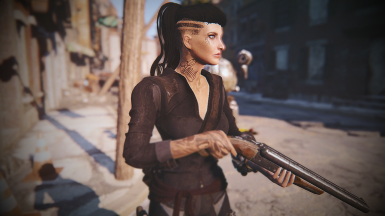 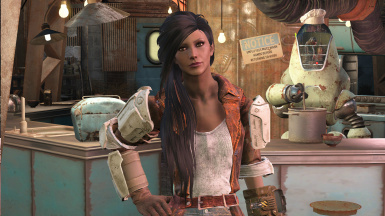 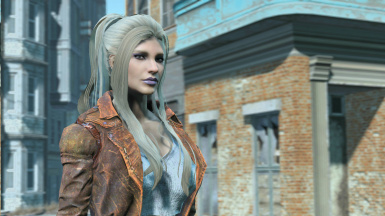 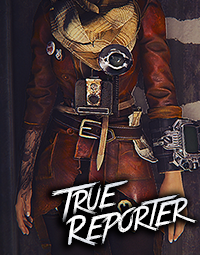 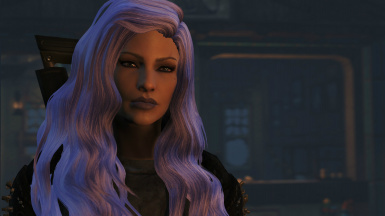 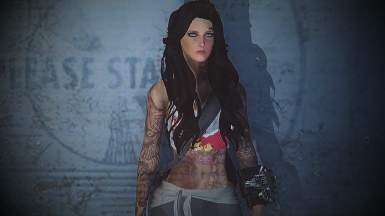 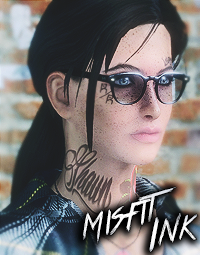 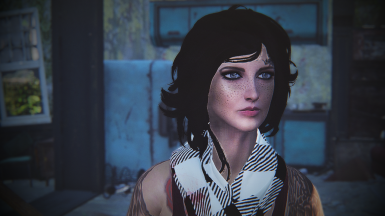 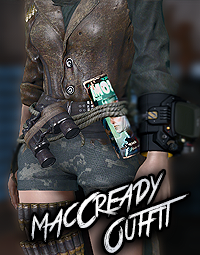 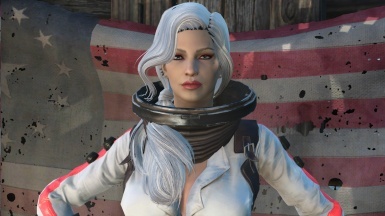 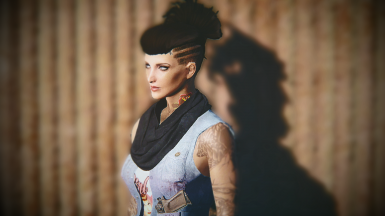 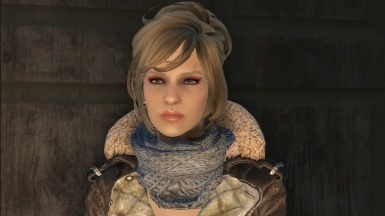 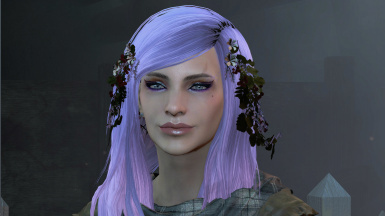 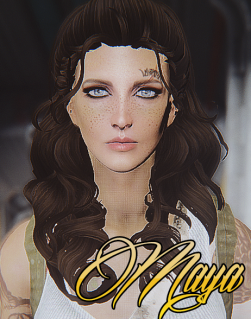 Lucy Abernathy Looksmenu Preset I think this is the one. 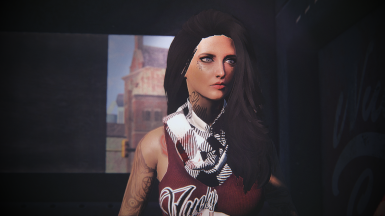 Dont hold me to it. 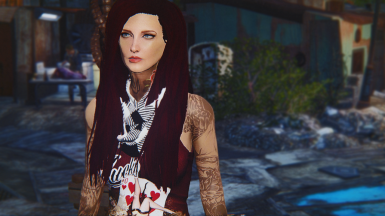 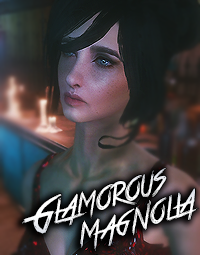 Magnolia Looksmenu Preset I think this is the one. 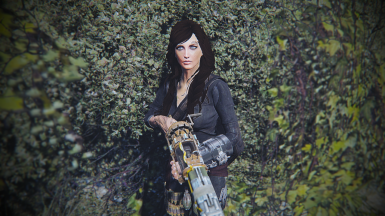 Dont hold me to it. 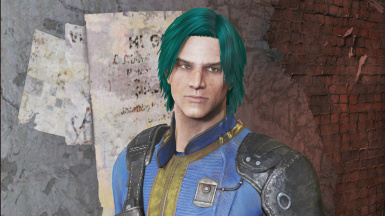 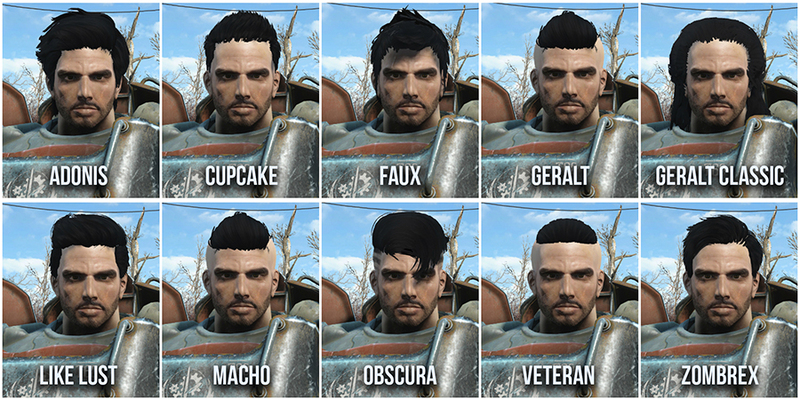 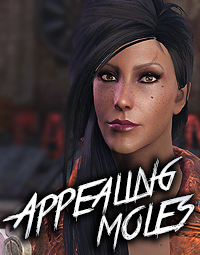 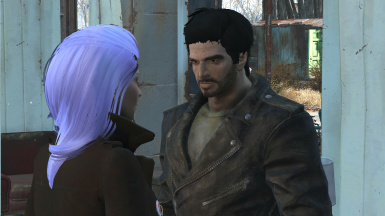 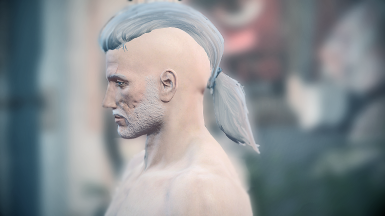 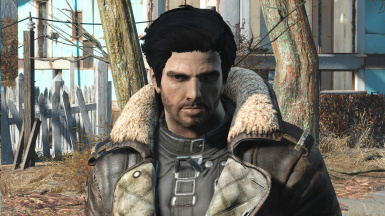 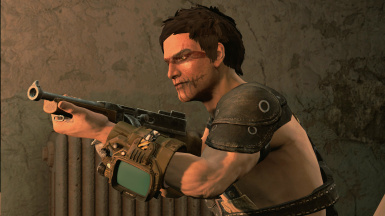 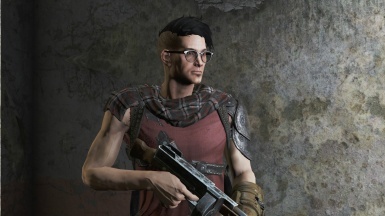 Male Face Preset 15 Replacement A hairstyle from this mod is used. 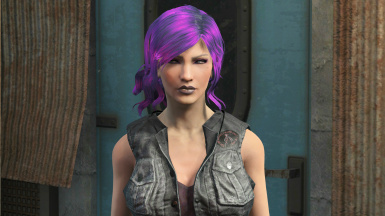 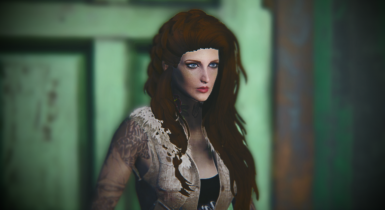 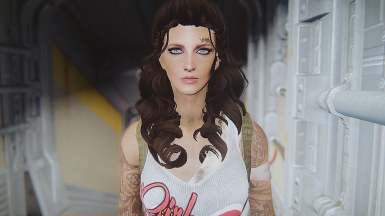 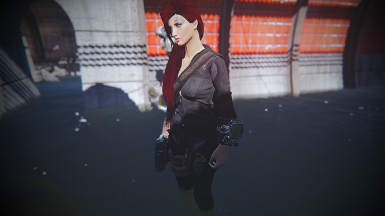 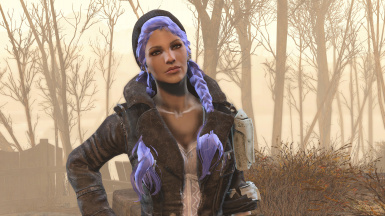 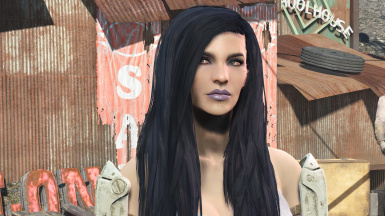 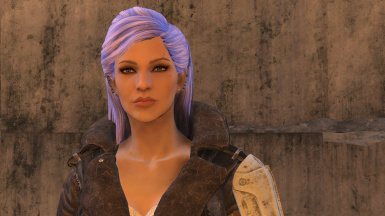 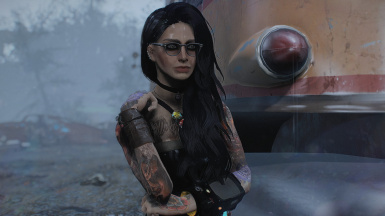 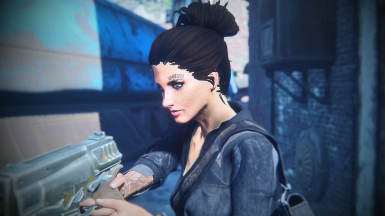 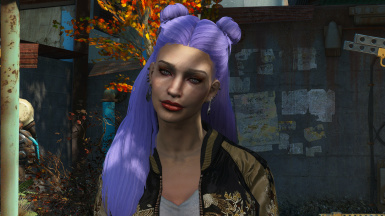 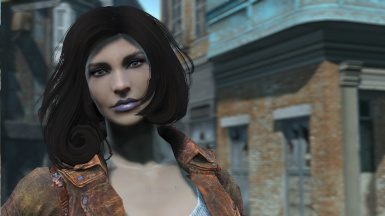 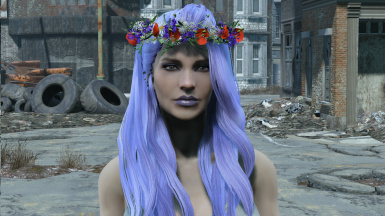 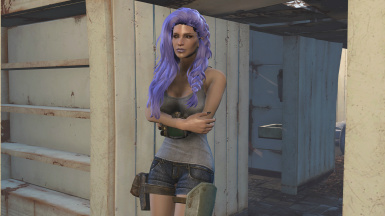 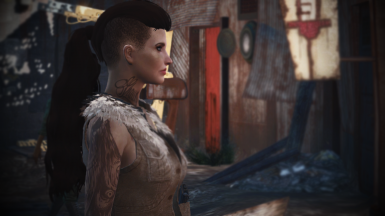 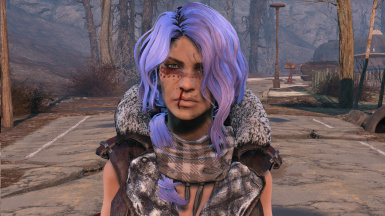 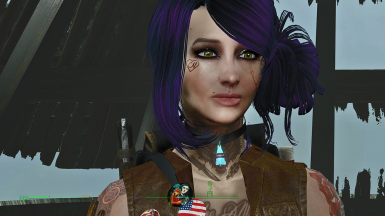 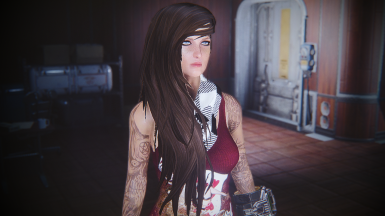 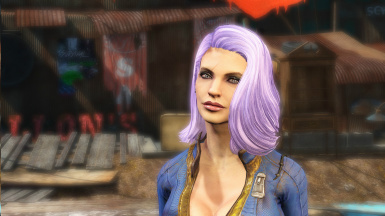 PIPA - Pretty in Post-Apocalypse - A LooksMenu Preset Optional, if you don't like these hairs. 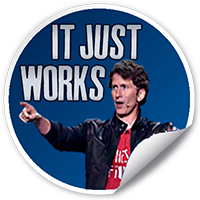 Otherwise, Required. 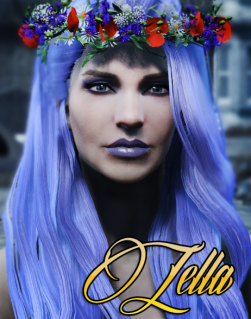 Sola's Kelly Atalanta pre-set (-CBBE- compatible) Needed. 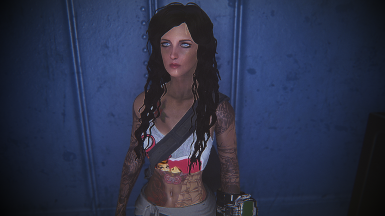 Venom LastRites Character Preset Pre War Same as the others lol. Can be used with character/companion saves. 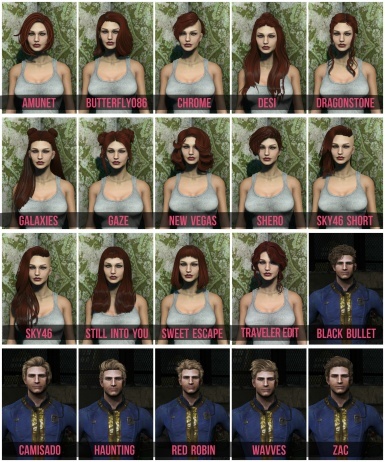 Not to be used as paid mod or hosted elsewhere. 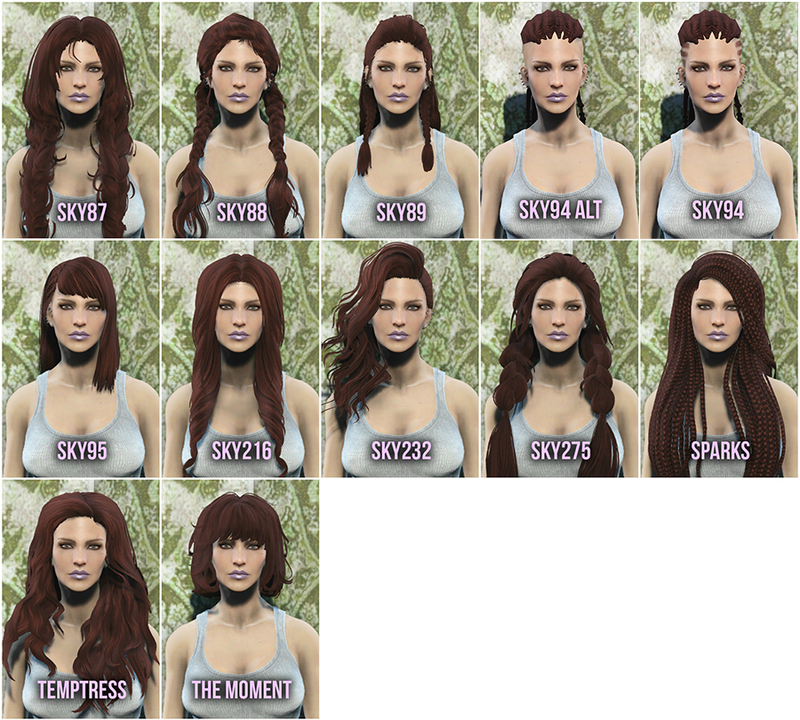 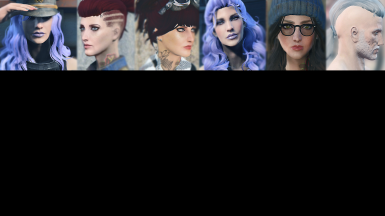 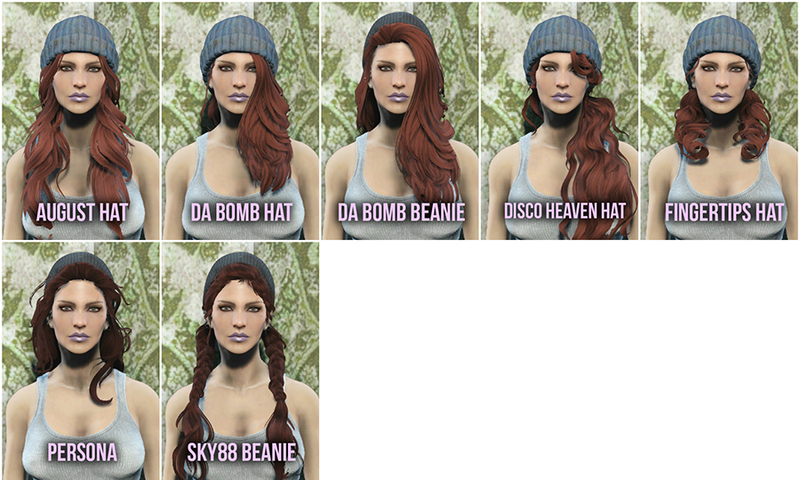 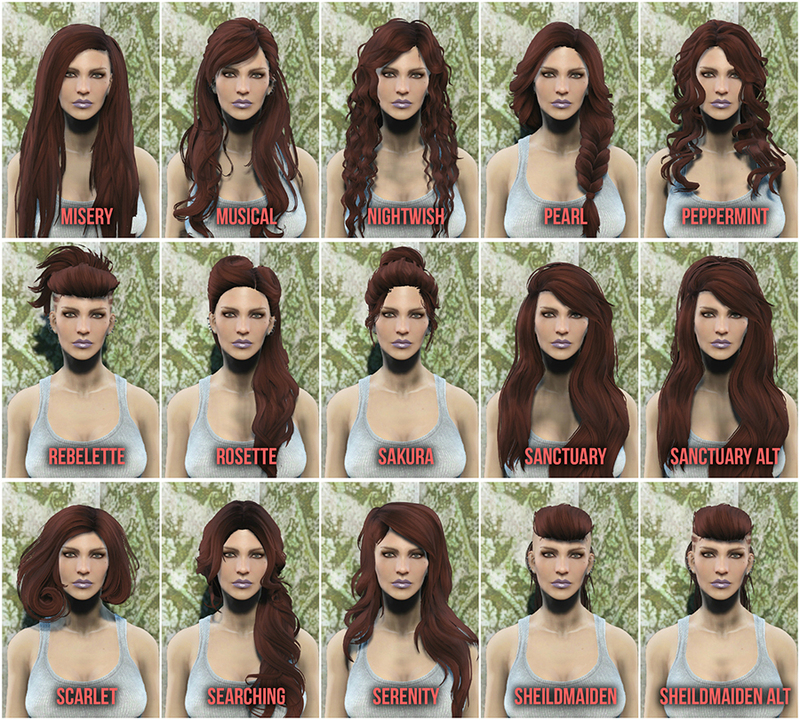 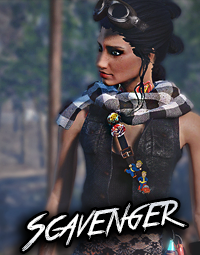 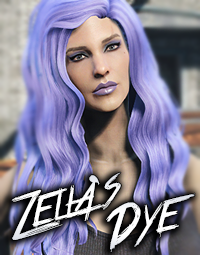 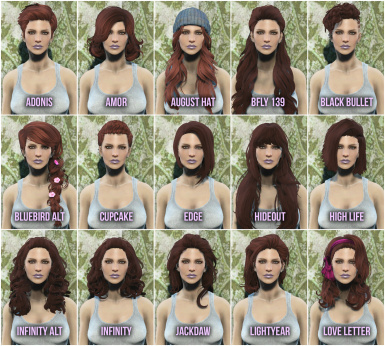 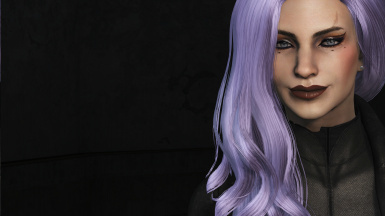 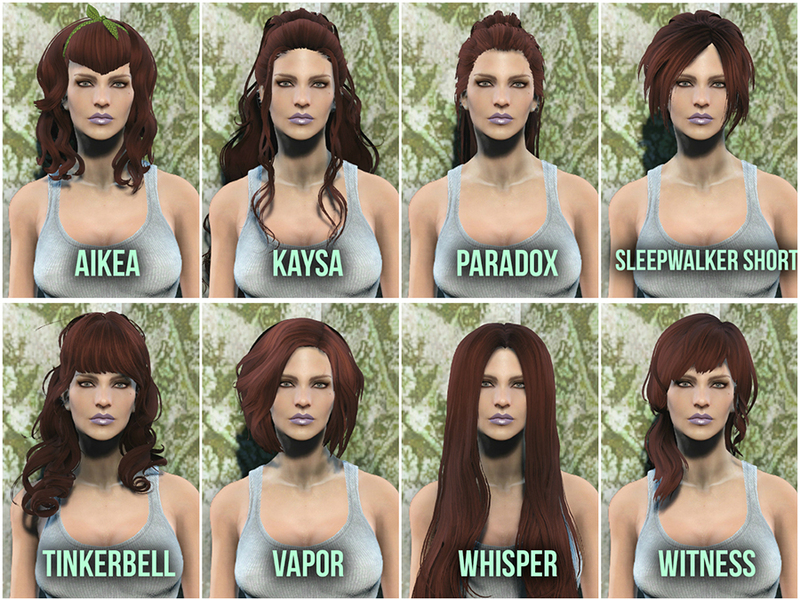 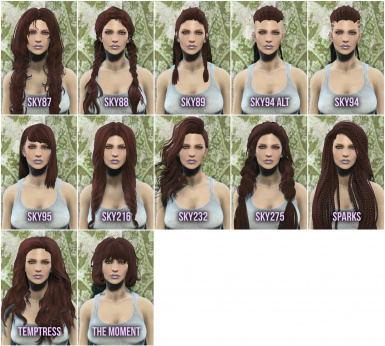 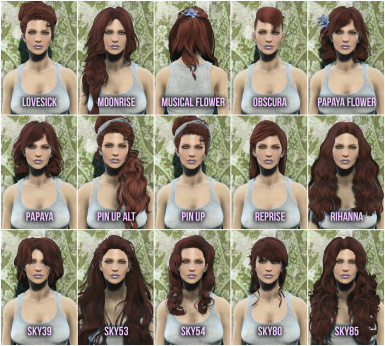 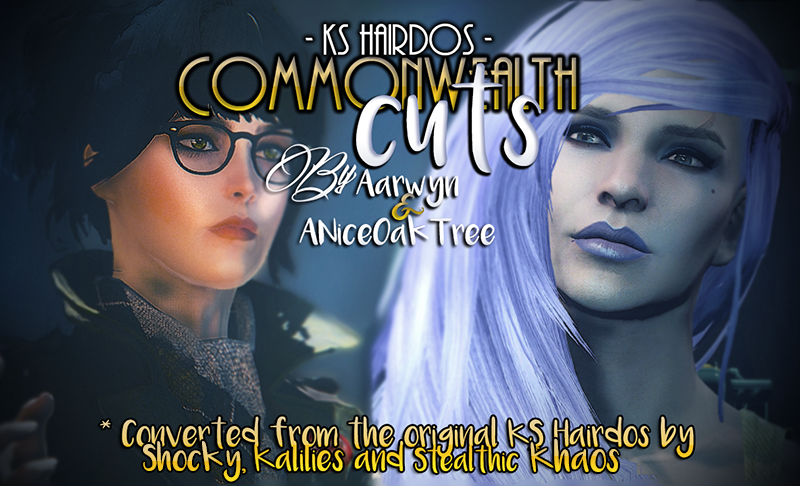 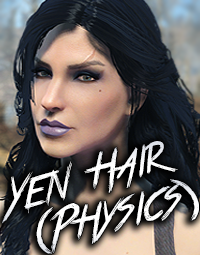 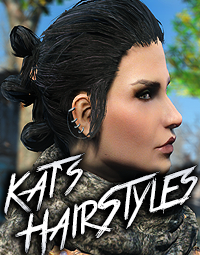 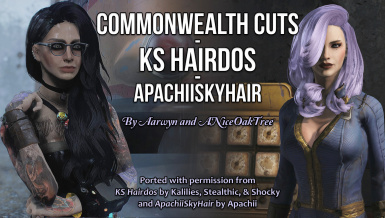 Ade, Alesso, Anto, Darko, Geisha, Jakea, Kijiko, Lapiz, Leah Lilith, Momo, NewSea, S-Club, Sintiklia, Sky, Stealthic, Peggy, Raonjena, Wings, XM and Zauma for the permission to release their hairstyles. 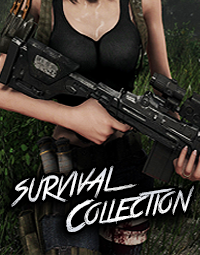 Note: READ FAQ IN COMMENT SECTION BEFORE REPORTING BUGS. 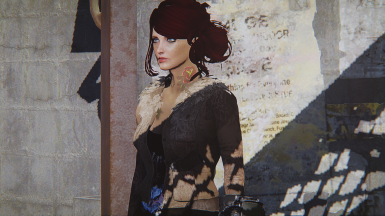 In other words, if you notice it... move to some different lighting and BAM, it's like it never happened.